As the global demand for DRAM continue to rise, it is expected the price of DRAM to stay firm through year 2018. Based on a report released by TrendForce, the global DRAM supply is forecasted to increase by 19.6% in 2018. Regardless of the greater supply, the numbers are still well below the growth of demand, which could rise by 22%. The increased need of DRAM in mobile industry plays a huge role, notably the requirement for high RAM capacity on flagship Android devices. Besides, the increased focus on the Artificial Intelligence and Machine Learning in recent years also contributes to the increased requirement for more memory in data centres. As DRAM demand is relatively inelastic, given that suppliers need a certain amount of DRAM to meet performance requirements, vendors may not be able to scale back significantly on DRAM purchases even if prices rise. Unlike NAND market where buyer would usually scale the purchase according to the price, scaling back on the DRAM would mean the decrease in the effectuation of a certain system. In the effort of keeping the 2018 prices similar to the second half of 2017, DRAM suppliers have been investing on transiting technology and optimising the process instead of expanding the capacity. Transcend Information Inc’s tier-1 supplier, Samsung, is taking the same approach in price control alongside with Micron and SK Hynix. Therefore, it’s no surprise that memory modules manufacturers are actually having issues with low stock availability of memory modules to meet the current market demand. As the leading manufacturer of memory products, Transcend were still able to deliver a steady stream of high quality memory modules to the consumers in spite of the DRAM low stock availability in the market nowadays. Suitable for use in desktops, notebooks, servers and workstations of virtually every brand and type, Transcend memory modules are at the heart of many high-quality, extremely reliable computers. Transcend selects only the highest grade, brand-name DRAM chips available, which undergo countless stress-tests and evaluations to guarantee each module produced lives up to Transcend’s outstanding level of quality and world-class reliability. Moreover, each module is tested in many different system configurations and popular software programs to assure ultimate cross-platform compatibility. 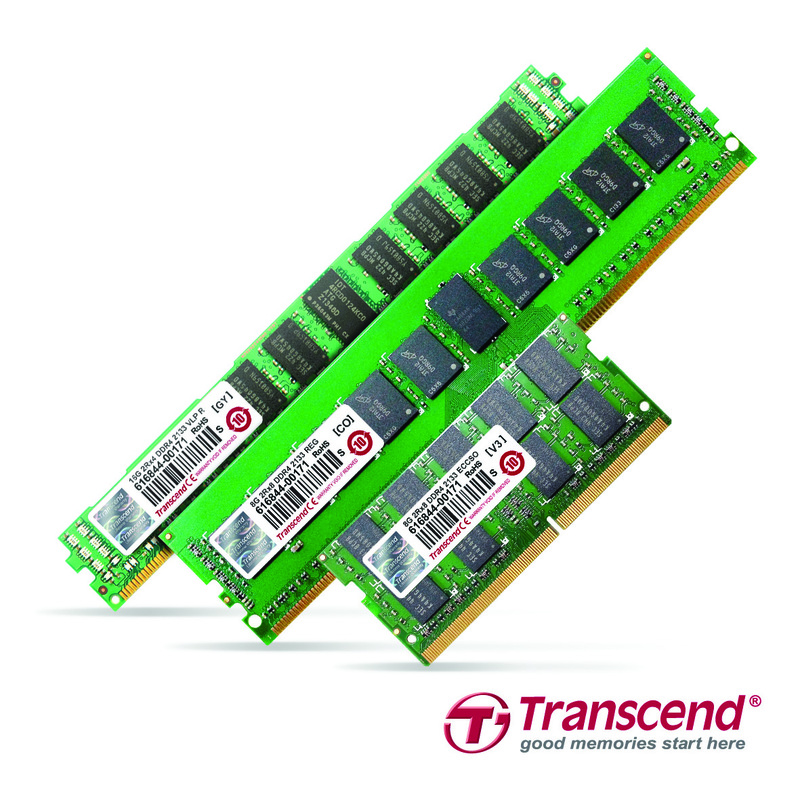 As the first company in the world to offer lifetime warranty on all its memory modules, Transcend’s highest priority has always been to provide memory products with the utmost level of stability and reliability. This is why every component used in the manufacturing process is exhaustively tested by our highly experienced team of R&D engineers long before the production process even begins.